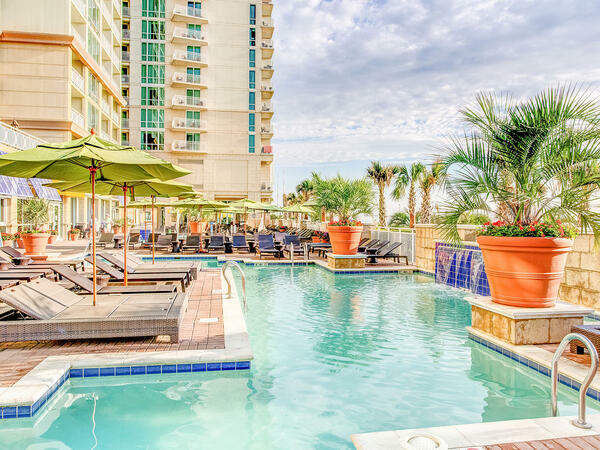 At Ocean Beach Club, the top choice among luxury hotels in Virginia Beach, our amenities are the main attraction. From the moment you arrive in our bright, tropical-themed lobby, you’ll be surrounded by amenities unrivaled by other oceanfront hotels in Virginia Beach. Start outside, where three pools sit adjacent to Tortugas Café and Tiki Bar, and then move inside to our fun-filled game room and expansive indoor pool. If you want to stay connected and in shape during your oceanfront stay, utilize our state-of-the-art gym and business center, combining productivity and home-like convenience. Ocean Beach Club’s amenities provide plenty of oceanfront fun for our whole family. Ask our friendly team members for their recommendations on things to do in the area, as they are always happy to help you during your stay at our Virginia Beach oceanfront hotel. Whether you prefer indoors or outdoors, splashing with your little one or lounging kids-free, adults only-style, our four pool settings have you covered. You’ve never worked out surrounded by ocean views like this. Trust us. Sleep is overrated. Our team is here for you 24/7. Sure, it’s the beach, but sometimes duty calls. Stay productive in our fully equipped business center. Enjoy panoramic ocean views that other Virginia Beach hotels can only dream about. A diversion for kids, and a break for the grownups. Win, win! Cocktails, anyone? Island vibes abound at this Little Slice of Paradise overlooking the beach. We get it: Sometimes you want to take a break from the sand and surf and do nothing more than... Just. Lounge. By. The. Pool. 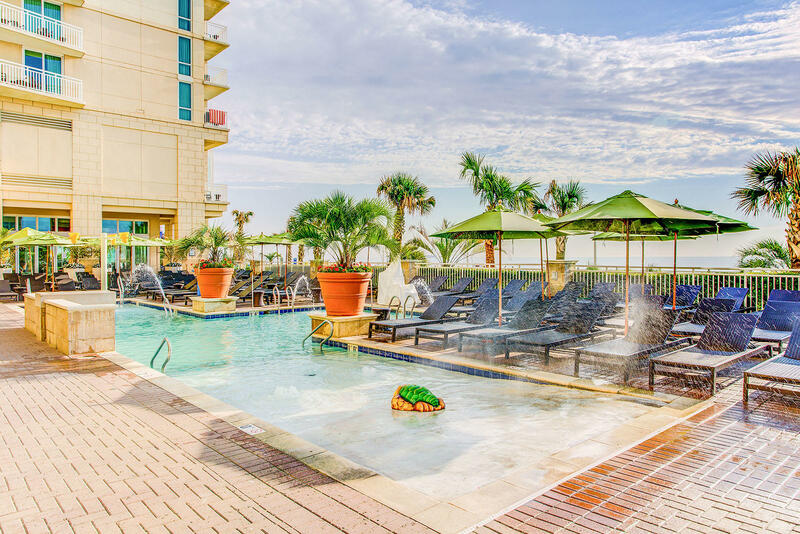 If you’re looking to make a splash and soak up some Virginia Beach sun but don’t want to make your way down to the beach, we have four spectacular pools to choose from – three at Ocean Beach Club and another nearby at Oceanaire Resort. Overlooking the boardwalk and beach, our main outdoor pool just happens to be one of the biggest oceanfront pools in Virginia Beach. Just steps away, your little ones will take to our children’s pool – with its shallow entry and water features – like ducks to water! Both pools are adjacent to Tortugas Café and Tiki Bar, which means you can take a dip, towel off and treat yourself to drinks, snacks, cocktails and ocean views while still in your bathing suit. When the weather turns cooler, our indoor pool beckons with water heated to the perfect temperature and cascading water features that the kids will love. For aqua-lounging at a more grownup speed, head to Aqua 21 at Oceanaire Resort, a stylish, adults-only indoor playground that is part pool, part lounge. Relax in a comfy chaise on the poolside deck or gather by the oceanfront fire pit and waterfall overlooking the boardwalk.